Whirlpool offers a full selection of refrigerator water filters under the EveryDrop product line. 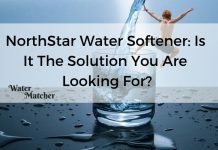 Made to fit Whirlpool, Maytag, KitchenAid, Amana and Jennair appliances, these components focus on removing potentially harmful impurities, such as lead, prescription medications, pesticides and more, from your water. This gives you peace of mind that your water and ice are as clean and pure as possible, just one more way to keep your family healthier. It’s easier to encourage your family to drink more water and avoid sugary drinks when the water tastes crisp and fresh with no metallic or chemical flavors or smells. If you get your water from a local treatment plant, you should be aware that lead, chemicals and other particles are only subject to regulation down to a specific percentage. You’d probably prefer cleaner water than that for your family and yourself. 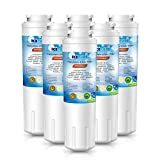 Multiple studies conducted by universities and independent laboratories have found that refrigerator water filters do a better job than filter pitchers and faucet attachments when it comes to removing impurities from tap water. 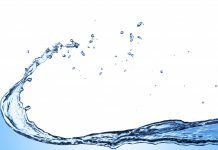 Consumers report that, based on taste alone, they can taste a big difference between the water that comes straight from the tap and the water that comes through a refrigerator filter. Smell and color are also affected by filtering. But exactly how does a refrigerator filter work? 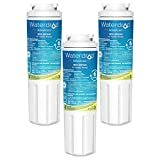 A Whirlpool water filter for your refrigerator uses a system of three internal filters (Triple Filtration technology) made with activated carbon. Each level of the system uses either a physical barrier or a chemical barrier against impurities in the water. Chemical filters are able to block the smallest of particles, those that can’t be blocked by a physical filter. Similar to the way a magnet attracts bits of metal, the carbon draws in impurities and holds on to them. Your drinking water continues on through the system in a much cleaner state. When you freeze that cleaner water, or it processes through your ice maker, you get cleaner ice. 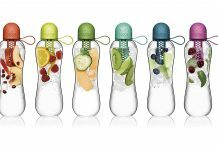 As a result, you find improved flavors when you cook with the filtered water or use it to mix up your favorite beverages. It’s important to keep a clean filter in your refrigerator. Just like the filter in your vacuum cleaner, once the carbon is full of particles, it can’t hold any more. Uncaptured impurities will travel on into your water instead of staying in the filter, and some of the impurities trapped in the carbon can break loose as well. This may lead some consumers to think something is wrong with the filter or the water system itself. Because of the microscopic nature of some of the particles, it’s difficult to tell with a visual inspection whether a filter is full. The best plan is to replace the filter as often as recommended on the package. As is typical of most filters on the market, EveryDrop filters last about six months before you need to replace them. EveryDrop filters are certified by NSF International to remove 99 percent of lead (among 66 other contaminants) from the water that travels through your refrigerator. This mark tells you that the product meets all current quality standards after independent testing. NSF reminds consumers of the importance of changing filters to get the maximum performance. When you go shopping for a filter, you’ll likely find multiple options for your refrigerator. Model and part numbers can be confusing, so it’s helpful when manufacturers make it easy for you to locate what you need. EveryDrop filters can be used with most newer model refrigerators and even those up to 15 years old. A color and a number mark each EveryDrop filter, so you can easily identify which one fits your appliance. Triple Filtration Technology uses three layers to give you the maximum defense against impurities. The first layer captures the largest particles, removing them before the water passes on to the next stage. The second layer collects medium-sized contaminants, further purifying the liquid. The third and final layer uses absorption technology to soak up microscopic impurities that escape the first two barriers. With these three categories of invaders removed, you can feel confident that’s what is left is as clean as you can get. EveryDrop filters can be purchased online at https://everydropwater.com/Filters/Item/EDR1RXD1. Each one is $, and shipping is free. If you prefer to shop elsewhere, they’re also available on Amazon for about the same price. You can set up a subscription and save up to 15 percent if you’re a member of Amazon Prime. However, if you find yourself needing a new filter when you have a house full of family members on the way, you may not have time to wait for one to arrive in the mail. In that case, you can find EveryDrop filters at most major retailers such as Walmart, Target, Lowe’s and Home Depot. The price at brick-and-mortar stores is within a few dollars of the online price. 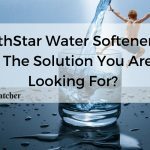 While most consumers report that the filter works well once installed, the instructions advise running several gallons of water through the filter when you first install it. Consumers who did not do that reported a plastic or chemical taste in the water upon installation, so it’s important to follow the instructions. The inconvenience on the front end pays off in the results you get from the filter. Buyers report that EveryDrop filters are easy to install. A review of multiple customer reviews found no mention of any difficulties with the fit or keeping it in place. A review of consumer experiences found no reported problems with the build quality of EveryDrop filters. They appear to hold up well for the duration of the recommended six-month usage period. Whirlpool provides a 90-day limited warranty against defects in materials or workmanship. The possible remedies are replacement or repair, which is a disadvantage when some other brands offer a money back guarantee. Another drawback is that this filter imposes a time limit on the warranty while the Waterdrop model we reviewed has no time limit. Performance - Based on consumer reports, EveryDrop filters perform well for the six months of intended use. Ease of identification – The color/number coding system is easy to use to determine which filter fits your appliance. Price – EveryDrop filters are the most expensive of all the products we reviewed. Warranty – The warranty offered with the EveryDrop filters was the weakest we examined, as it’s good for only 90 days and only provides repair or replacement. A review of consumer experiences with the Icepure model found only positive statements about the product’s performance. Unlike the EveryDrop, we discovered no complaints about the initial steps required to put the product into use. Consumers reported no issue with installing the unit and no problems with it staying in place once installed. We did not find any complaints associated with the construction of the Icepure model. Icepure provides a standard 90-day limited warranty like the Whirlpool brand. However, this company offers a refund if you are not satisfied, as opposed to only the replacement or repair available with the EveryDrop line. The Waterdrop still maintains an advantage in that there is no time limit on its warranty. Icepure filters scored consistently well across all categories. They performed well based on customer reviews. The only place Icepure gives up any ground is on the warranty. While it exceeds the coverage offered with Everydrop filters by offering a refund, it’s still limited to the first 90 days, unlike the Waterdrop line. Consumer rave about how well these worked compared to much more expensive brands. Several buyers felt the Waterdrop brand lasted longer than the Whirlpool and Maytag name brands, and they loved the indicator to remind you when it’s time for a replacement. While installation is easy, some consumers disliked the recommendation to let water flow through for an hour after installation before using the water or ice. None of the consumer experiences indicated any issues with the construction of the Waterdrop line. 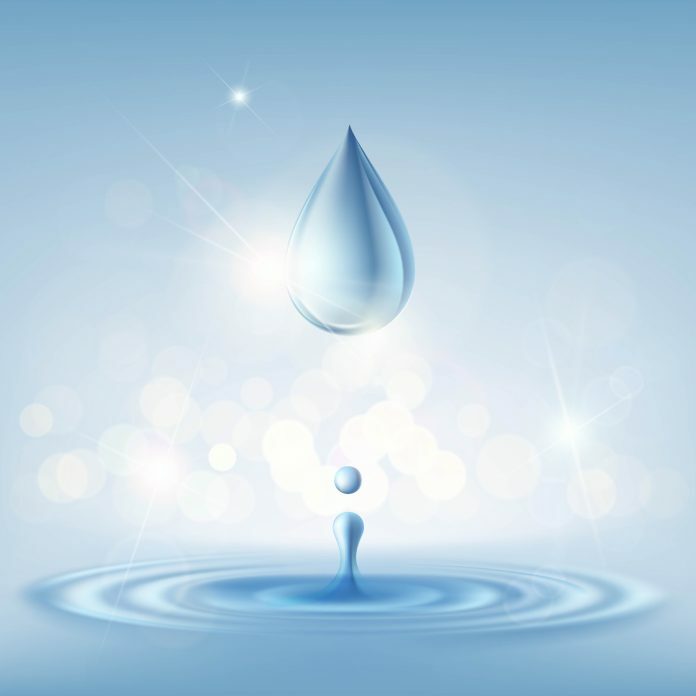 Waterdrop advertises a 100 percent satisfaction guarantee and does not indicate a time limit. This is the most generous product warranty of all the units we reviewed and gives the Waterdrop line an advantage. Price – Waterdrop filters were the least expensive of the products we reviewed. Most consumers who compared this brand with others felt that Waterdrop performed just as well as a more expensive brand. Longevity – Consumers felt these filters lasted longer than others in our review, even those with a significantly higher price tag. Ease of use – The indicator makes it immediately visible when it’s time to replace the filter, so you don’t have to worry about keeping up with when a replacement is due. The only negative mentioned in reviews of the Waterdrop filters was the installation process. Some consumers felt that running water through the filter for an hour as recommended was excessive and wasteful. As an added bonus, if your refrigerator doesn’t have a built-in water and ice dispenser, you can still take advantage of the technology. The EveryDrop Water Dispenser attaches to the front or side of the appliance with magnets. It uses a pressurized system to remove impurities. An attached water line runs to the ice maker or house water source, and tubing holders keep the line out of the way. This is a convenient way to give your family access to fresh filtered water without making room for a pitcher or another appliance to clutter up your countertops. 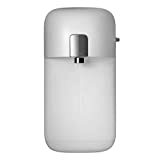 The dispenser uses the same EveryDrop filters made for refrigerators, and you should get about six months of use, or about 1,500 bottles of water, out of each one. At $ each, that calculates to about $ per bottle, but it’s difficult to put a price on the value of knowing your family has clean, healthy water to drink. If you have a little time before you need your next filter, you can save some money if you shop around. Icepure and Waterdrop are more affordable options than EveryDrop if you’re willing to try a different brand. It’s important to remember that not every manufacturer makes a filter for every refrigerator. You can search by the type of appliance you have, by model number or by brand. You want to check the model number on your appliance carefully to avoid buying parts that don’t fit. EveryDrop filters make it easy to shop and quickly grab the filter you need. Diehard fans of the Whirlpool brand may find it difficult to buy anything else because of the consistent quality and reliability and the excellent reputation. In our estimate, we give it 4 out of 5 stars, with the big drawback being the price. If you decide to stay with the Whirlpool water filter, look for sales and discounts when you can. Consider a subscription through Amazon. You can save some money, and you’ll be prompted to change the filter regularly when the new shipment arrives. 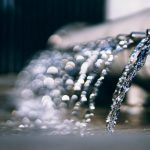 EveryDrop filters are certified by NSF International to remove 99 percent of lead, NSF reminds consumers of the importance of changing filters to get the maximum performance. Next articleKeurig Water Filter: The Top-Selling Single-Serve Coffee Makers!